Holly began working with the Huntsman School as the Event Coordinator for the March 16, 2016 Grand Opening of Huntsman Hall. In her current role as the Huntsman School’s Corporate Relations Manager, Holly cultivates opportunities for business professionals, and corporate and alumni partners to engage with faculty and students. 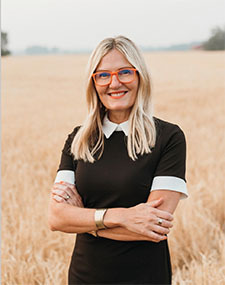 Prior to her time in the Huntsman School, she spent 13 years working as an Adjunct Professor and Student Teaching Supervisor for the Emma Eccles Jones College of Education and Human Services at Utah State University. She also taught 4th and 5th graders in the Logan School District for 8 years. Holly is the Executive Producer and Corporate Fundraiser for Freedom Fire, Logan City’s Independence Day celebration and fireworks show. She lives in Logan with her husband, Mark, and their five children. In her spare time, she enjoys bicycling, working in the yard, snow skiing, interior decorating, and watching football.